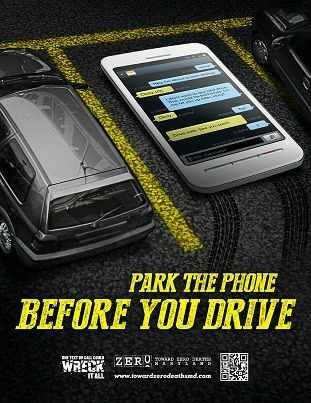 April is National Distracted Driving Awareness Month. In 2016, research states that at least 3,450 people were killed in motor vehicle accidents involving distracted drivers, including those who were texting and driving. Distracted driving is any activity that diverts attention from driving, including talking or texting on your phone, eating and drinking, talking to people in your vehicle, playing with the radio, entertainment system or navigation- basically anything that takes your attention away from the task of safe driving. Texting is the most alarming distraction. Reading and sending texts takes your eyes off the road for 5 seconds. That’s equivalent to driving 55 mph with your eyes closed the length of an entire football field. Driving safely requires your full attention. You increase your risk of crashing by engaging in any non-driving activity. Speak up when you are a passenger and your driver uses an electronic device while driving. Offer to make the call for the driver, so their full attention stays on the driving task.